2 plus 5 = ? StockWatch Trading Signals Service is oriented to active traders, to assist and enhance their existing trading strategy with the ultimate goal of minimizing their trading risk. 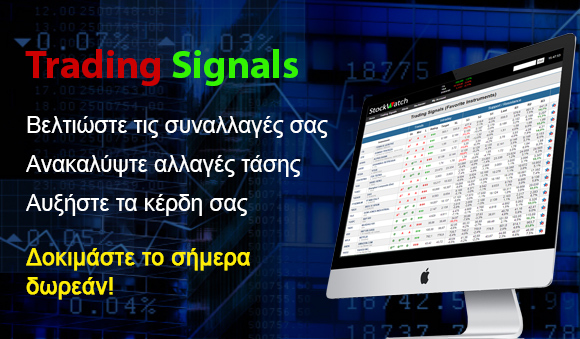 The Trading Signals are based on the basic rules of Technical Analysis and its applied algorithms at the various automated mechanical systems have been developed by our highly expert scientific force of our company, with over 30 years of active participation in the global financial markets.